A Crowley teenager has been arrested and charged in the double murder of his adoptive parents, police say. 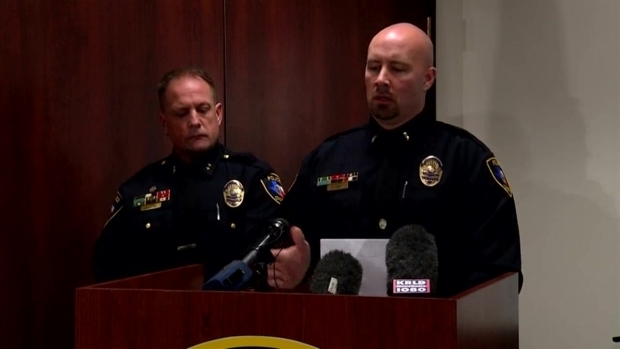 During a news conference Thursday morning, Crowley Police Chief Luis Soler identified the victims as 60-year-old Troy Brewer and 64-year-old Mary Brewer. Carl Brewer, the couple's 17-year-old adopted son, has been arrested and charged with two counts of murder and is being held on a $200,000 bond. Police said 911 dispatch received a phone call Tuesday afternoon that was made from a pay phone by an anonymous tipster. That caller told dispatchers he was a friend of Carl Brewer’s, and while the two of them were smoking marijuana together, Brewer revealed he’d killed his parents. 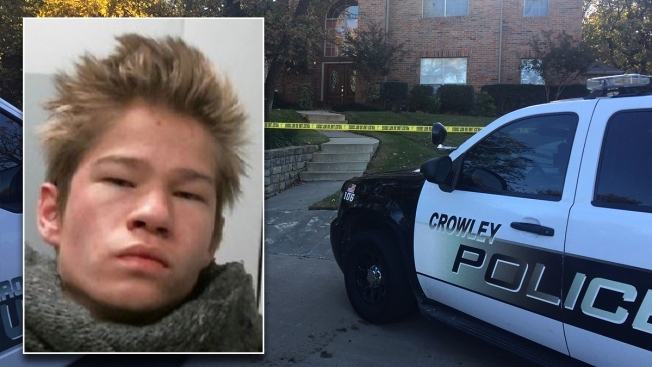 Crowley police held a news conference Thursday morning regarding a teenager who they say was arrested, charged with the murder of his two adoptive parents following a standoff Tuesday night. Officers then tried to contact the Brewers, but were unsuccessful. They also stopped by the Brewers’ home in the 800 block of Buffalo Court, but at that time saw nothing that seemed suspicious to them. They left the house at around 6:00pm and filed a report. Later in the evening, officers on the night shift followed up on that report and went back out to the home. Neighbors told them they hadn’t seen Troy or Mary Brewer since Monday. Lieutenant Robert Gray said when he looked through the front door of their house, a plant that had been knocked over caught his attention. And as he and detectives discussed other things about the situation that didn’t seem normal, they caught wind of something else. Police said they arrested a person of interest after a standoff at a Tarrant County home where two people were found dead Tuesday night. They found Troy Brewer dead in a bedroom. According to a search warrant, they discovered several areas of dried blood near his body that “appeared as if someone had attempted to clean it up.” Mary Brewer’s body was found inside a bag in the next room over. SWAT teams from Burleson and Fort Worth were brought in and the entire neighborhood was evacuated. A standoff then ensued that lasted for nearly ten hours. Early Wednesday morning, the SWAT team fired gas canisters into the home, causing Carl Brewer to come out and surrender. Police say one person is in custody after a standoff at a Crowley home where two people were found dead Tuesday night. Soler said this isn’t the first time his department has encountered the Brewer family. Since 2010, officers have been called out to their home 16 times for various reasons, many of them related to domestic issues. Earlier this year, Carl Brewer was arrested for evading officers after he reportedly led police on a chase. Police declined to discuss how the Brewers were killed, saying they’re still waiting for autopsy reports. According to the search warrant, investigators were interested in locating two handguns, which Mary Brewer had reported stolen in the days before her murder. 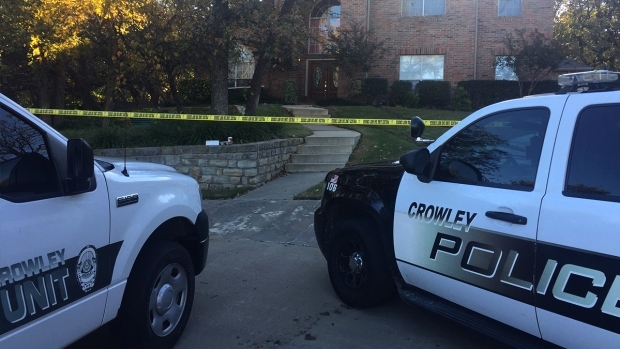 This is the first homicide case Crowley police have investigated since December 2014. Soler said it’s taken a toll on the entire community.